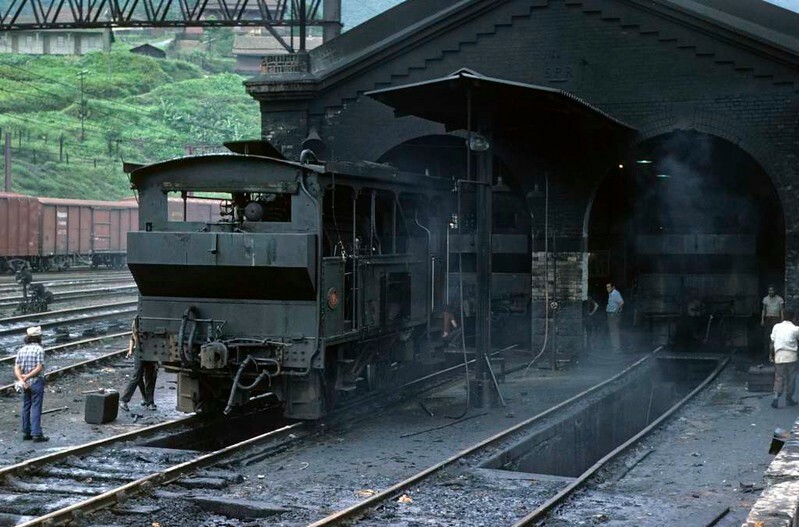 Paranapiacaba station, Santos a Jundiai Railway, Brazil, 18 October 1976. On shed is No 9 built by Kerr Stuart in 1900. Photo by Les Tindall.